Wonderful position.. Small pool and lovely mountain views. 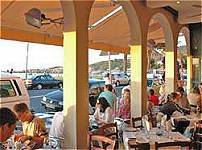 Literally 1 minute (200 metres) from the beach, shops and restaurants in Camps Bay. Sports facilities are all within a minute's walk and these include a bowling club, tennis and squash courts and a park. 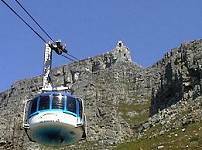 5 -10 minutes drive to the Cableway. 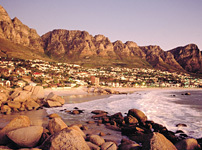 15 - 20 minutes drive to City Centre, Cape Town International Conference Centre (CTICC), and The V&A Waterfront. 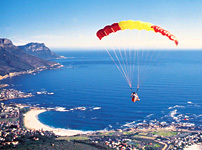 10 - 15 minutes drive to Llandudno, Hout Bay and Chapmans Peak. Only a 40 minute drive away from the Winelands of Stellenbosch, Paarl and Franschhoek. 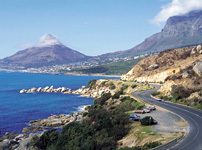 20-30 minute drive to Kirstenbosch and the Constantia Wine Route. 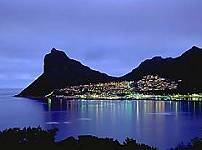 Approximately 20 minutes drive from Cape Town International Airport. Tours and car-hire can be arranged with us at competitive rates.